This charger is not something you can carry in your hand or pocket, but just to hang on to your backpack or bicycle. 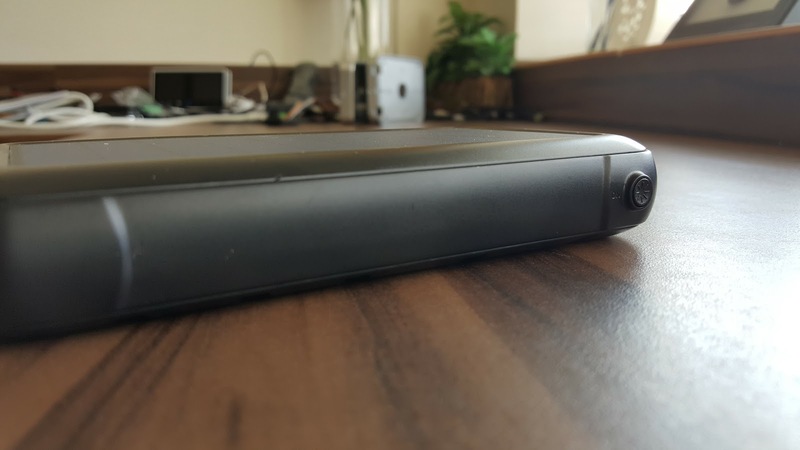 Very heavy and large for a 20,000mAh battery pack, but the powerful solar charging panel will compensate for that. 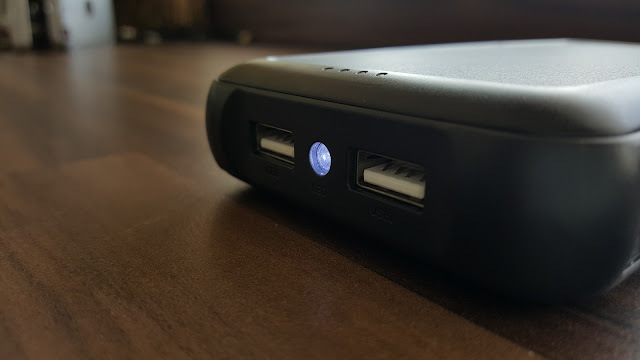 I’ve few solar chargers that I use to light up 5V bedside reading lamps and USB fan I use. Though not a real life field test, I’ll get a fairly decent idea on how this AUKEY performs agains other solar chargers. This charger is considerably larger and heavier than the other chargers I have used. Also it slips off the hand easily comparing to the other rubber coated chargers. On a sunny day, it took around 5 hours to charge the battery pack in full. which is much more than the other chargers. 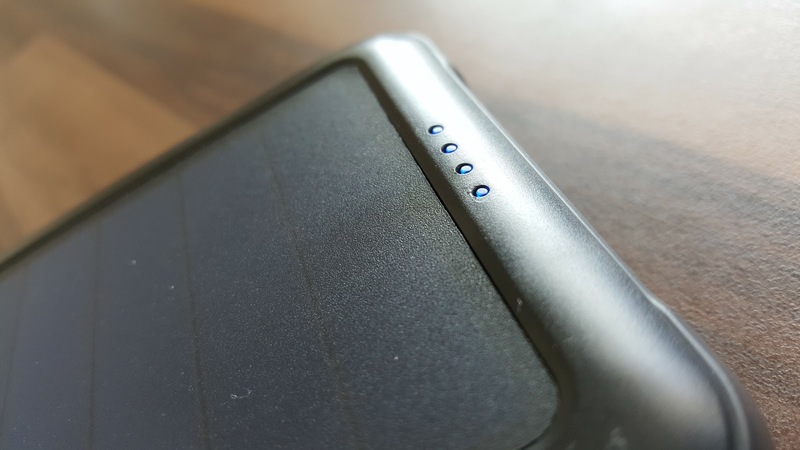 They never get fully charged even on a whole day out in Sun. In the night when plugging in bedside lamp and a fan together (2 ports), the whole unit dies off within 4-7 hours depends on the brightness or speed of fan I set. 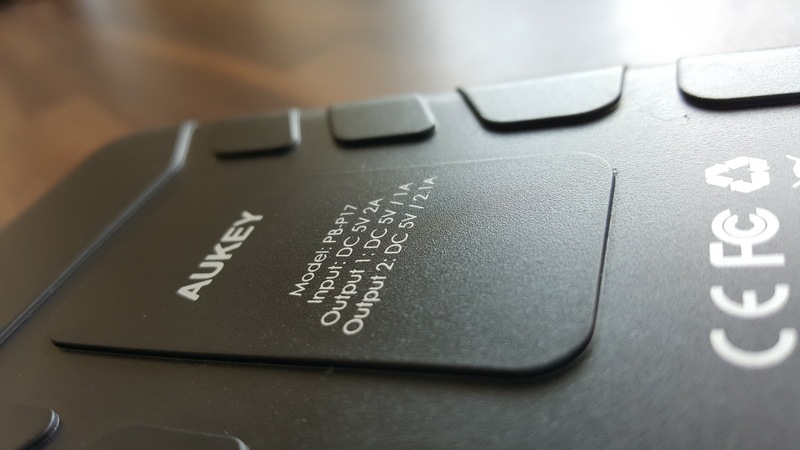 Aukey has no problem in surviving through the day with the USB devices with slow current. 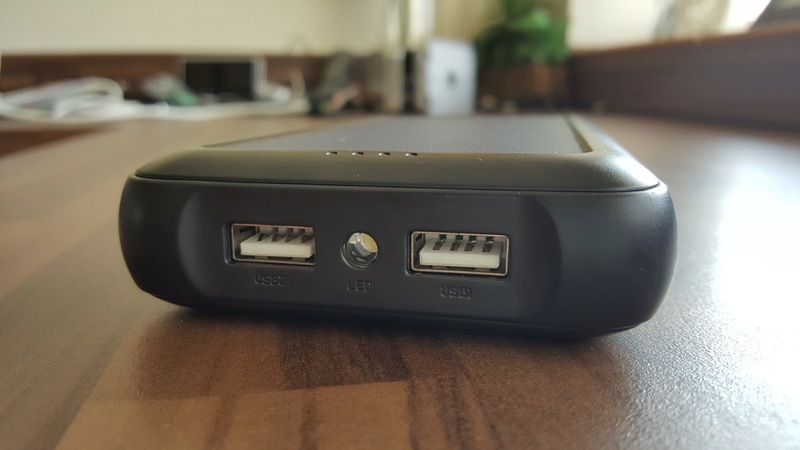 There are 2 USB outputs - one of them gives you only 1A current which is okay for other gadgets like Fans or small LED lights, but not enough for Android phones or tablets and anything above iPhone 6. 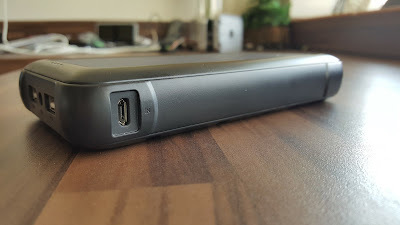 Luckily there is also a 2.1A USB included to charge high current devices and at the time of testing I was able to hit up to 1040mAh current (my battery drain of 400mAh has to taken into consideration). 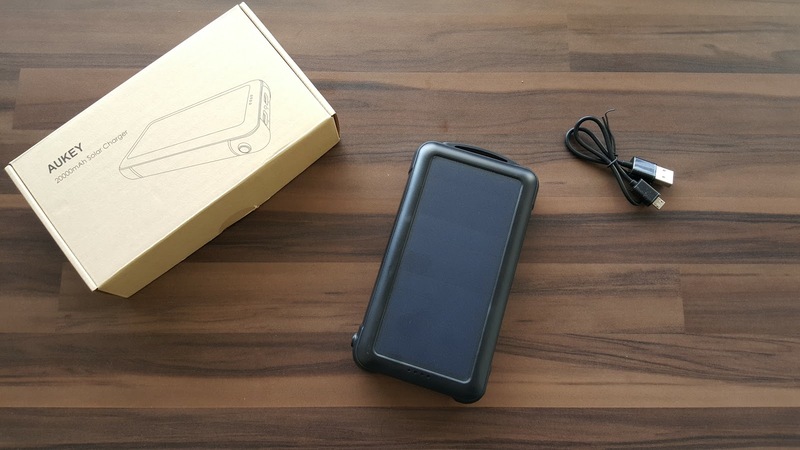 In the box, just the solar power bank, a USB cable and manual. 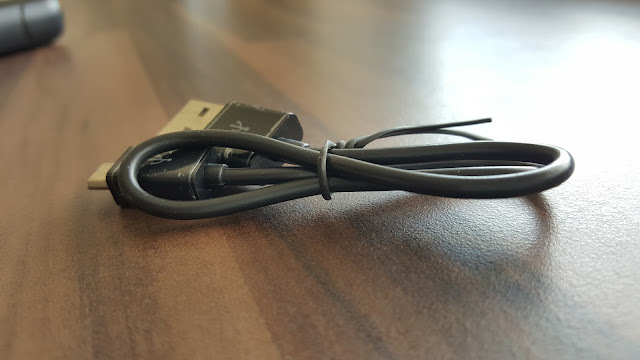 The USB cable is not in the usual AUKEY standard, but just a cheap cable. I wish to see a carabiner hook included to hang on to backpack. But none of that matters, when you experience the efficiency of the Sun Power solar panel. 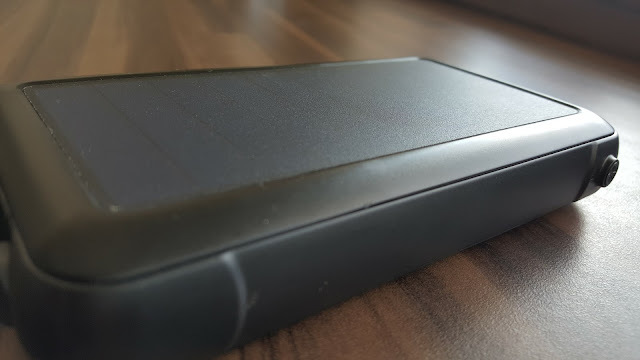 Overall a very decent solar power bank, works efficiently and saves some 0.££ for sure. Please do check out the pictures to see what exactly you get and how it looks.